By addressing your company's most valuable resource: your people. We help you reach your goals by giving you the knowledge and tools to be more effective. 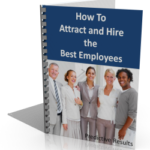 Learn how top performing companies Attract and Hire high-performers time after time. According to the U. S. Department of Labor, the average cost of a bad hiring decision can equal 30% of the first year's compensation. Business Results helps companies hire the right people and manage them more effectively. The right people in the right jobs, managed by effective leaders, yields maximum results at minimum cost. Whether you want to increase productivity, grow sales, reduce turnover, minimize accidents or improve succession planning, we will give you a proven way to reach your goal. We offer The Predictive Index® Assessments, Leadership Development Training and Sales Training. You have strategic business objectives that you need to accomplish in your organization. Whatever the goal — increasing sales, customer service index, safety, or reducing turnover, accidents, we drive your business results. Retaining talented, motivated people is vital to the success of any company. 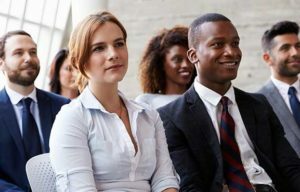 We can help to improve employee retention by improving the fit between individuals and jobs, by providing rewarding work experiences, and by developing managers to lead and motivate more effectively. Every contact a manager has with each and every employee is an opportunity to motivate — or de-motivate. We provide very specific insights into how people are motivated, how they will perceive the demands of the environment, the kinds of work most invigorates them, and many other factors contributing to motivation. Differences and disagreements are a natural part of working together. We provide solutions by looking at the patterns of those involved, and designing ways to approach situations that will be most acceptable to, and effective with, those involved. 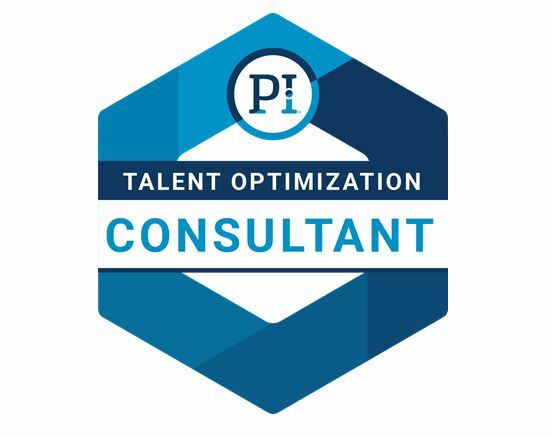 Talent acquisition is the critical process of finding, assessing and acquiring talent to bring into the organization to fill specific roles to meet the company’s goals, and includes the essential onboarding process once the hire is made. Change is about people and their behavior, and change management is about understanding both. 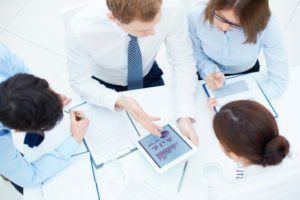 Studies have shown that behavioral data fuels effective change management. Top leaders Use Business Results insight to motivate their teams. Does your organization have the leadership to motivate and drive performance? Having the right people onboard is fundamental to strategic business growth. Growth Strategy cannot be complete without identifying the talent requirements necessary to meet the organization’s future goals. Dolly Penland of Business Results, LLC., is an absolute miracle worker. Her ability to help us understand the personalities and cognitive ability for potential and current employees is unsurpassed. Since our adoption of the Predictive Results program along with Dolly's help and guidance, we have experienced a much better workforce and ability to balance and manage tasks internally, resulting in higher client satisfaction and improvement of company morale. I would highly recommend Dolly to anyone looking to truly understand and improve the compatibility of their workforce with the positions they are looking to fill! The material, deliverables, and professionalism are fantastic. The program results are insightful, informative and the training is well instructed. Dolly Penland of Business Results, LLC., leads us to a greater understanding of the challenges related to our business and the talent we need. I have definitely seen the growth in myself and the business with Dolly’s training and coaching. At Concierge Home Care, our culture of servant leadership is enhanced by Dolly Penland and the Predictive Index. Not only does PI assist us in hiring the right team members to fit our culture, but Dolly and her experience helps our leaders recognize how to motivate, inspire, and engage their teams and in return unlock everyone's full potential. Since we have introduced the PI® System, we have seen a considerable difference in how we coach, hire and train our employees. There is a great understanding from the team on how to hire and be more careful with our people. The PI® System has become a part of the tools we work with on a daily basis and use in the evaluation process yearly. Also, Dolly Penland of Business Results, LLC., is very flexible, fast and available for meetings. She is fun and very interactive, and thus ensures that a lot of people are much more motivated. She has provided training for us in different locations and we always get very positive feedback. We use PI® to help us with recruiting drivers with the best possible natural behaviors to match the profile of the ideal candidate. Our end result has had a positive impact on our business. We now experience fewer complaints and higher on-time performance, which has resulted in improved customer satisfaction. The friendly and helpful approach of Dolly Penland of Business Results, LLC makes it extremely easy to maximize our return on investment for the Predictive Index system. I wanted to thank you for all your help related to employee management with the Predictive Index®. 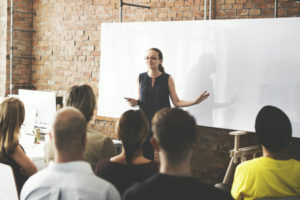 The tool itself is good, but having Dolly Penland and the Business Results team always readily available to share their knowledge and discuss strategies is really what makes it really valuable. I have been a fan of the Predictive Index® (PI) tool for several years and I continue to be impressed by how insightful the tool can be. Learning to complete the PI assessment and readback with employees has provided me and my team with an excellent opportunity to understand each other and to engage in conversations that continue to make our company a better place to work. 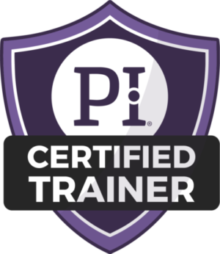 Having the Business Results team available to coach on call has helped me get a better understanding of how to use the support tools, like peer reviews, that make PI more than a hiring and onboarding tool. I am particularly grateful for the support and coaching of Business Results, LLC to help us get the most out of this tool by making it part of our culture.